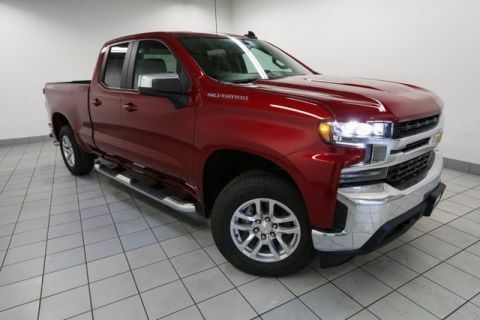 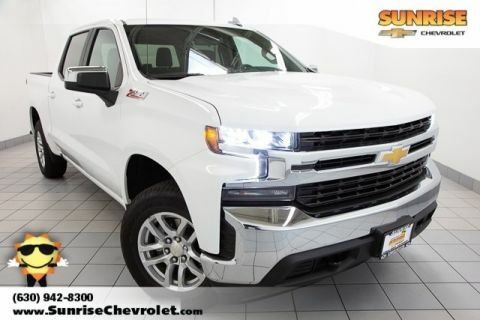 2019 Chevrolet Silverado 1500 Red Tintcoat LT 10-Way Power Driver Seat w/Lumbar, 12-Volt Rear Auxiliary Power Outlet, 2 USB Ports (First Row), 4" Chromed Round Assist Steps (LPO), 4.2" Diagonal Color Display Driver Info Center, 40/20/40 Front Split-Bench Seat, 4-Way Manual Driver Seat Adjuster, 4-Wheel Disc Brakes, All-Star Edition, Bluetooth® For Phone, Brake assist, Bumpers: chrome, Chevrolet Connected Access, Chevrolet w/4G LTE, Chrome Grille, Chrome Mirror Caps, Color-Keyed Carpeting Floor Covering, Compass, Convenience Package, Deep-Tinted Glass, Dual-Zone Automatic Climate Control, Electric Rear-Window Defogger, Electrical Lock Control Steering Column, Electronic Cruise Control, EZ Lift Power Lock & Release Tailgate, Front Frame-Mounted Black Recovery Hooks, Front Rubberized Vinyl Floor Mats, Heated Driver & Front Passenger Seats, Heated Steering Wheel, Heavy-Duty Rear Locking Differential, Hitch Guidance, Keyless Open & Start, Leather Wrapped Steering Wheel, LED Cargo Area Lighting, Locking Tailgate, Manual Tilt Wheel Steering Column, Manual Tilt/Telescoping Steering Column, OnStar & Chevrolet Connected Services Capable, Polished Exhaust Tip, Power Door Locks, Power Front Windows w/Driver Express Up/Down, Power Front Windows w/Passenger Express Down, Power Rear Windows w/Express Down, Preferred Equipment Group 1LT, Rear 60/40 Folding Bench Seat (Folds Up), Rear Dual USB Charging-Only Ports, Rear Rubberized-Vinyl Floor Mats, Rear Vision Camera, Remote Keyless Entry, Remote Vehicle Starter System, Single-Zone Manual/Semi-Automatic Air Conditioning, Steering Wheel Audio Controls, Theft Deterrent System (Unauthorized Entry), Trailering Package, Urethane Steering Wheel, Wheels: 18" x 8.5" Bright Silver Painted Aluminum. 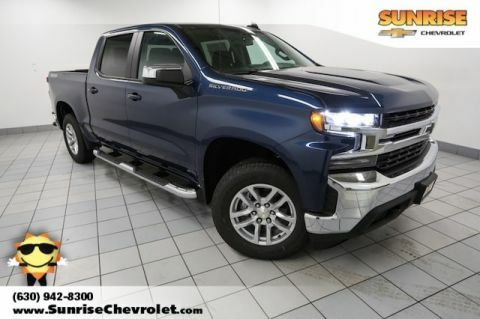 $9,219 off MSRP! Priced below KBB Fair Purchase Price!